Analyzing features of Wittgenstein's philosophical work and including in-depth textual analyses, this study investigates the impact of Ludwig Wittgenstein's work on contemporary German and French novelists. Drawing upon aesthetics, architectural history, philosophy of science, and photography, the book offers readings of the work of Thomas Bernhard, W.G. Sebald, Jacques Roubaud, and Ernst-Wilhelm Händler. 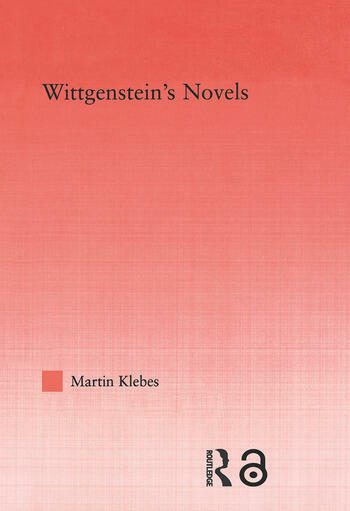 In each case, Klebes shows Wittgenstein’s reflections on language and world to be the conduit for an exploration of the question of representation as it bridges the realms of literature and philosophy. Martin Klebes is Associate Professor of German at the University of Oregon.